HOTEL RACHEL IS IDEALLY SITUATED IN THE CENTER. 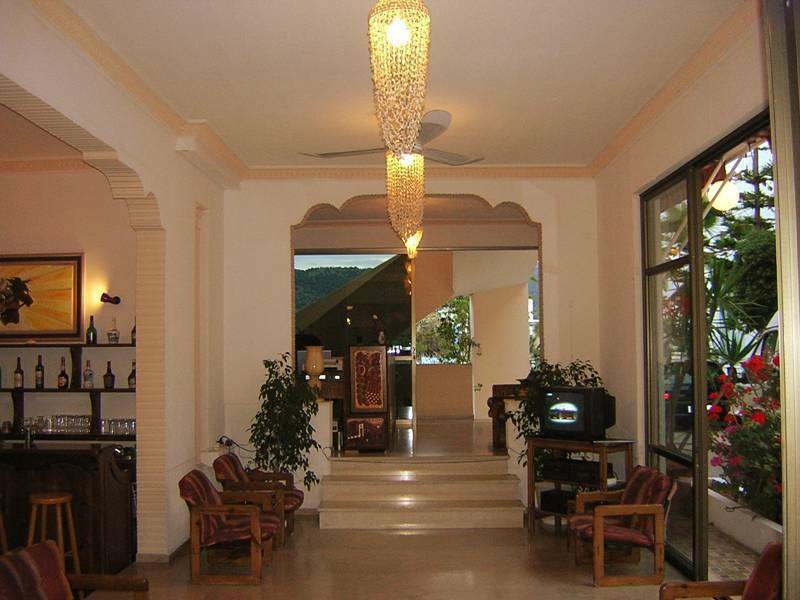 LOCATED ON THE BEST SANDY BEACH OF THE ISLAND, CLOSE TO EVERYTHING INTERESTING AND WITHIN WALKING DISTANCE OF THE MAIN RESORT FACILITIES AND SHOPPING AREAS. WE OFFER UNIQUE DISCOUNTED ROOM RATES AND GIFTS! The Rachel Hotel is ideally situated in the centre of Agia Marina area in the Beautiful Island of Aegina just 15 miles from the main Greek Port of Piraeus/Athens. Located on the best organized sandy beach of the Island, close to the Port of Aghia Marina and within walking distance of the main resort facilities and shopping areas. 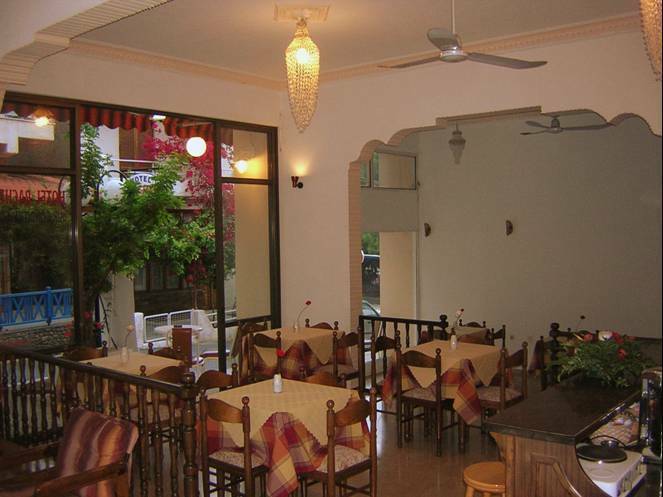 Everything interesting like Restaurants, Café/bars, Discos and Shops are found just around our Hotel Rachel. By choosing to stay at Hotel Rachel you have the opportunity to combine a peaceful and enjoyable island holiday with a visit to the great and historic monuments and sights of Aegina and Athens. 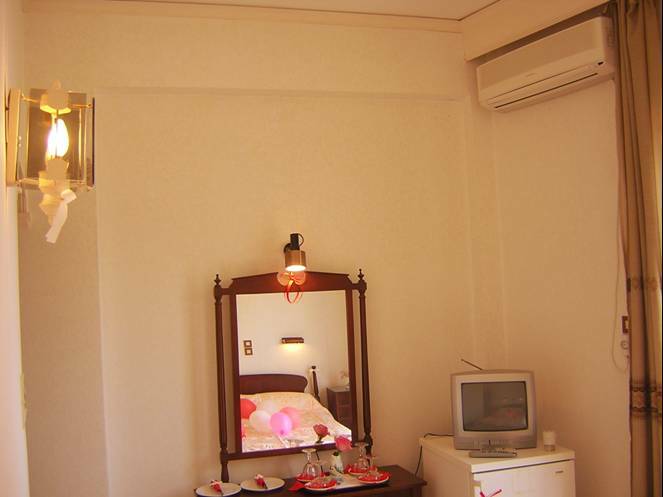 The first impression of Hotels Guests is the friendly and warm environment. Our perfect personal service combined with the nice atmosphere and the hotels provided amenities will guarantee a pleasant stay. Hotel Rachel has been fully renovated recently and has single, doubles and triples or family rooms, Reception, TV Lounge, Wireless Fast Internet Access in Lounge, Dining Breakfast Room, Café / Bar, Clothing, Jewelry, Accessories and Gift Shops offering a great variety of products in special and discounted prices for Hotel Rachel Guests. All rooms have private WC / Shower and are fully equipped with individually controlled Air Conditioning / Heating, Color Television, Refrigerator, Telephone (direct dial available) and emergency alarm in bathroom. 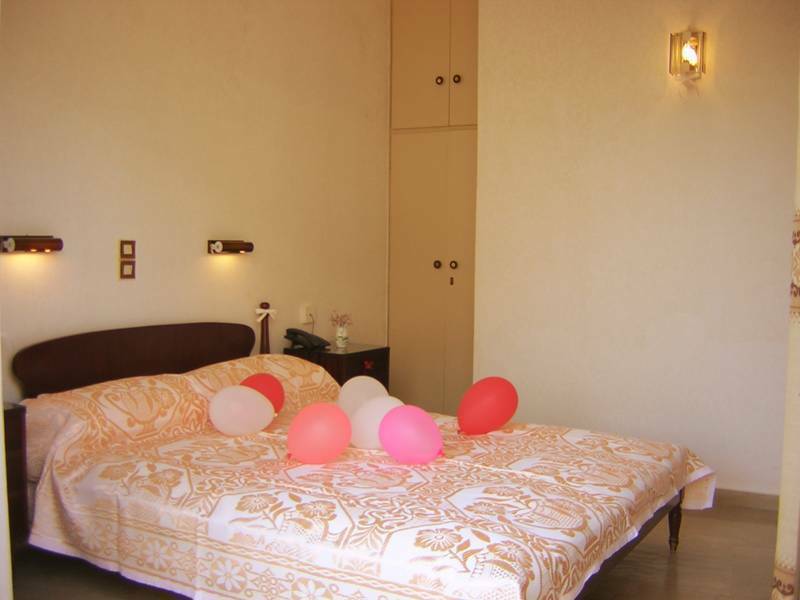 Additionally all rooms have: fully fitted marble floor, nice and new wallpapers in rooms, Simple white decor with dark oak furniture, safe, quiet and clean environment, including clean sheets and towels and daily room cleaning service. 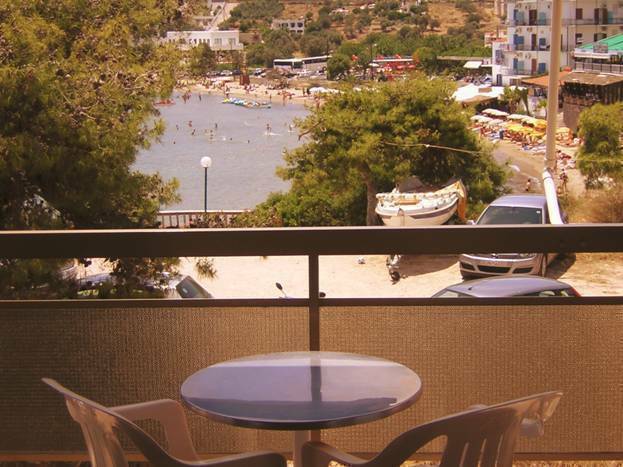 Most of the Rooms have Private Balcony and many of them view to the sea and the beach of Aghia Marina. Breakfast included in room rates, served in our breakfast room and drinks and light meals are served all day long in our lounge areas or in the room if our guests wish so. The Splendid, sandy beach of Aghia Marina is situated in front of Hotel Rachel in distance of hardly 20 meters and it is ideal for children and adults who can enjoy swimming and sun. One of the big advantages of Hotel Rachel is its exceptional position, as visitors can easily go on foot to any point of Agia Marina in only a few minutes. The Port and the Beach of Aghia Marina as well as the shops of the region like mini markets, bakeries, restaurants, taverns, souvenirs shops, Cafeterias, bars etc, are found in a distance of a few meters from the Hotel. Many monuments and sights such as The Temple of Afea, and Agios Nektarios Monastery are in a small distance from our Hotel Rachel and it is easy to get to them. UNIQUE SPECIAL OFFERS AND GIFTS FROM HOTEL RACHEL!!! 1. Free breakfast for your entire stay! 2. One Free Welcome Drink per person! 3. One Free afternoon coffee or tea per person! 4. One Free Map of Aegina Island per room! 5. One beach Umbrella per room for Free use during your stay! 6. One Beach Mat per person for Free use during your stay! 7. Free car, motorbike, bicycle parking (availability permitting)! 8. Free local phone calls from lounge and reception areas! 9. Free luggage Hold and Baggage storage! 10. Free Safety Deposit Box Service at Reception! 11. Discount 15% and special offers to our Hotel Rachel Clothing, Accessories, Jewellery and Gift shops! 12. Free wireless Internet Access in lounge areas! 13. Free daily room cleaning service! Air Conditioning / Heating Bar/lounge Beach Bicycle rental Breakfast included Car rental Children permitted Color Television Express checkout Free local phonecalls Gift shop Laundry/valet service Linen included Luggage carriers Medical assistance on call Multi-lingual staff No Smoking Parking (free) Pets allowed Refrigerator Religious group assistance Room service Safe deposit box Smoking permitted Taxi service Telephone (direct dial available) Tour/sightseeing assistance Voltage converters WC / Shower Wireless internet emergency alarm in bathroom. The island of Aegina is situated in the middle of the Saronic Gulf just 15 miles from the Port of Piraeus / Athens and has been at the crossroads of cultures for thousands of years. In ancient times, Aegina Island was one of the strongest states and produced the first Greek coins - the silver "toirtoises"
Nowadays, Aegina Island is like something out of a movie, picturesque houses, winding alley, fertile plains, terraced hill-sides of olive trees and aquamarine water. Aegina is also famous for its' pistachio nuts (which are the most tasty) and its local fish but also for others goods of the local production. Agia Marina is the most beautiful and popular destination and tourist centre located on the east-side of Aegina Island. 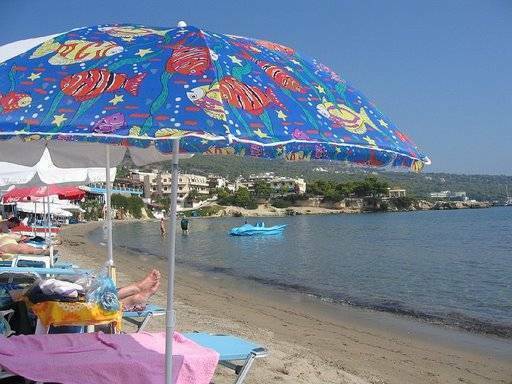 It has the best sandy beach on the Island and shallow waters stretching from the port, right round the bay to the old harbour, where there is the small chapel of Agia Marina which gave the area its name. Agia Marina offering to visitors many beautiful and interesting places. From Hotel Rachel, which is situated in the centre of Agia Marina, you have the opportunity to go at any point of the area very fast and also visit the great and historic monuments and sites of Aegina like Afea Temple, Agios Nektarios Monastery, Kolona Site, Kapralos Museum, Ellanio Oros and many others. To Sandy Beach: 30 meters. To Kolona Hill (archaeological site and museum): 13 km. To Port of Agia Marina: 40 meters. To Tower of Markelos: 12 km. To Cafes, Bars, Restaurants etc. : Around Hotel Rachel, few meters. To Aghios Nektarios Monastery: 6 km. To Shopping areas: Around Hotel Rachel, few meters. To Capralos Museum: 9 km. To Aegina Town Port: 12 km. From Athens International Airport (Elefterios Venizelos) use the means of transportation in order to get to the main Greek Port of Piraeus / Athens. From the Port of Piraeus take one of the Boats (40 min. 60 min. Trip depending on the type of boat you choose) that departs for the Port of Agia Marina or the Port of Aegina. 1) From the Port of Agia Marina go (on feet) to the left direction of the road (Kiriakou Galari Street 188) and just in 30 meters distance you find our Hotel Rachel and Rachel Shops, on the left side of the road . 2) From the Port of Aegina take a Bus or Taxi in order to get to our Hotel Rachel in Agia Marina (trip of about 15 min. by taxi, 25 min by bus). Bus Station and Taxi Station are exactly outside the Port of Aegina from were you can get one of these means of transportation in order to get to Agia Marina and Hotel Rachel (bus stop in Agia Marina is in a distance of only 40 meters from our Hotel Rachel).